My experience with agrawmedia is realy nice. 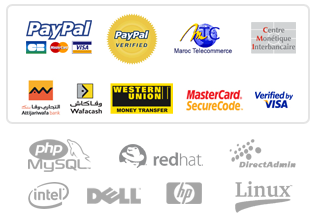 it had the ability to offer me some services that are almost impossible in Morocco due to the fact that here, e-business has considerable limitations especialy with the abcence of sophisticated e-paiment methods. I think that AgrawMedia did a realy breackthrough in this matter with its incredible business solutions.